Docusign helps you to setup templates for each of those documents you need to generate in your ConvergeHub account to automatically populate the documents with data from your CRM and with the help of Docusign send documents to your contacts and get them signed. 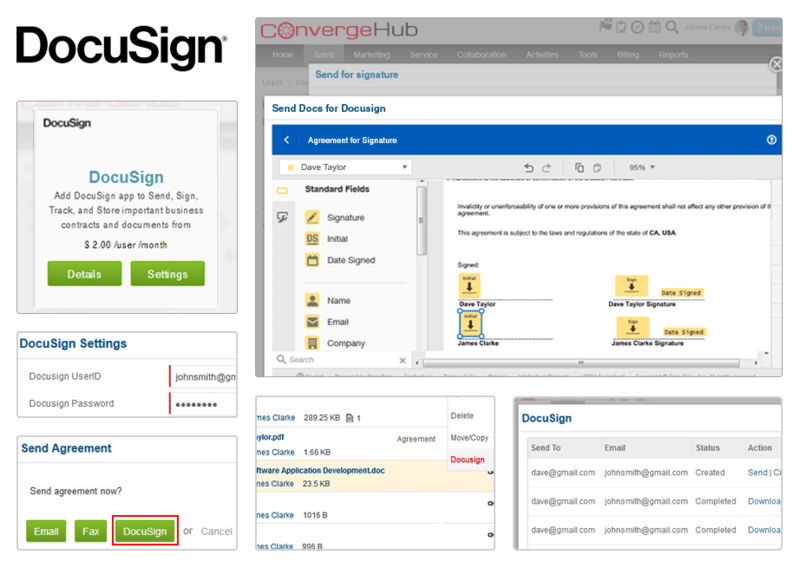 Docusign integrated with ConvergeHub is supported for the Leads, Contacts, Accounts, Deals, Quotes and Invoices. 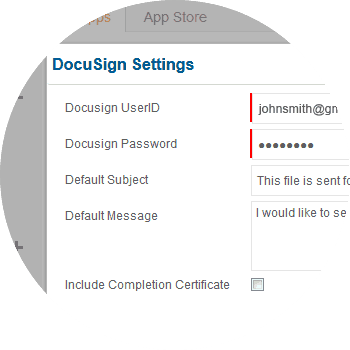 On installation, the library page will have an option such as "DocuSign". This option can be used to send documents that need to be signed by individuals intended for the contract, proposal or any other documents. 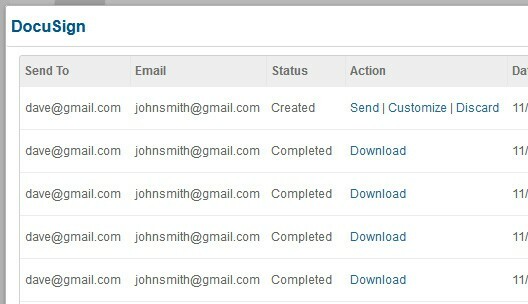 In addition you can create Quotes, Invoices, and Agreements documents, using the templates in ConvergeHub CRM. Quotes, Invoices, and Agreements documents are created as PDF files. Using these templates, a quote, for example, can be sent for signature using DocuSign. 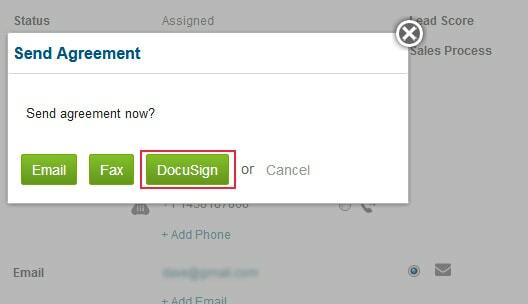 By clicking on the documents sent via DocuSign, users can find the status of the document and even more other documents share with the same individual. 1. Navigate to “App Store” or Simply search “DocuSign” in AppStore. 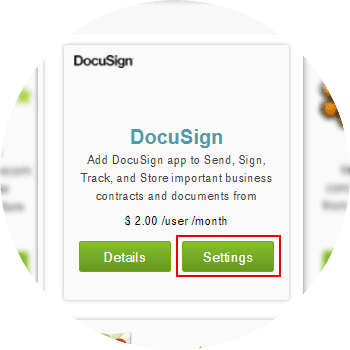 For seamless integration with DocuSign click on the Settings button, this will open up a pop-up. If you have pop-up blocker in your web browser, then allow the pop-ups from ConvergeHub. Providing the necessary authorization will get you linked with the app. 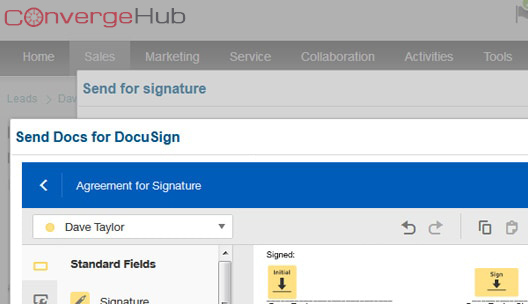 You can use your e-Sign feature of DocuSign in ConvergeHub, and get you documents now signed securely. 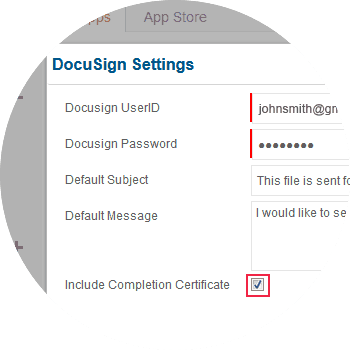 You will find a check box in the DocuSign App setup after the authorization settings, where you have an option to include completion certificate with the documents you have shared for the purpose of e-Signature.